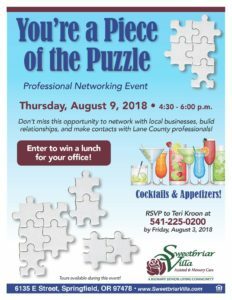 Thursday, August 9, 2018 • 4:30 – 6:00 p.m.
Don’t miss this opportunity to network with local businesses, build relationships, and make contacts with Lane County professionals! 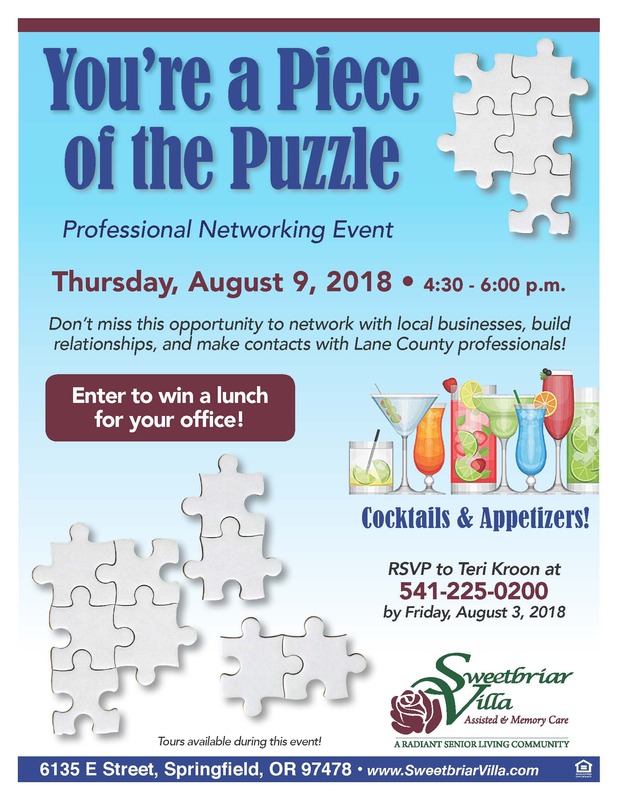 Enter to win a lunch for your office! Tours available during this event!